House Speaker Nicholas Longworth (R, Ohio) dead at 61. Mr. Longworth had been a Representative since 1903 and Speaker since 1925; was "one of the best loved political figures of the capital" and "made fast personal friends of his bitter political enemies." He is survived by his wife Alice Roosevelt Longworth, daughter of the President. Death may put control of Congress in doubt; vacancy will be filled by special election, and the district is not overwhelmingly Republican. Washington report: Current Federal short-term debt is $2.7B and increasing. This is considered too large; while Treasury is now easily able to borrow short-term at low rates, this may become problematic if borrowing increases and rates rise. Treasury is likely to attempt refinancing to longer-term debt, though it's understood no definite plan has been made. J. Raskob, Dem. chair., has “old-line politicians” in the party “near panic” by his desire for clear party positions on controversial issues including Prohibition, antitrust law, and tax reform. This ruins old method of securing “a wet label in the wet territory while assuring the drys in the dry territory that nothing will really be done.” Editorial facetiously "awarding" R. Lucas, Republican Nat'l Committee director, prize for Republican doing most to advance the Democratic party. Mr. Lucas attacked Raskob for advocating "repealing the federal antitrust laws," for his moderate proposal enabling the FTC to review proposed business actions and grant immunity against criminal prosection (also favored by some Republicans). Mr. Lucas must know his distortion won't benefit his own party, and will in fact weaken it in the "trans-Missouri" states; he could only have been motivated by "a generous impluse to raise the fallen foe." Norway lockout now effective in steel, mining , textile, construction, and other industries, affecting 43,000 workers. Employers give notice of lockout in other trades Apr. 15 to affect additional 23,000. German Chancellor Breuning and Foreign Min. Curtius to visit Britain June 5-9, spending two days as guests of British PM MacDonald. Growth of radio has been phenomenal. As of 1931 the National Broadcasting Co., founded 1926, maintains 74 stations, requires 34,500 miles of program wire-lines, employs 1,226 excluding artists and musicians (twice the number in1929), and received 2M fan letters (6 times the number in 1926). "These letters provide valuable mailing lists for dealers in radio supplies." Cunard Steamship plans construction of second $30M transatlantic liner; to be 1,018 feet long, about 73,000 gross tons; contract to be given to John Brown & Co., already building the sister ship. Boeing awarded contract to build 135 cruising planes for War Dept. at cost of $1.541M. Frigidaire division of GM has been chosen to equip the new Empire State Building and Waldorf-Astoria Hotel. "The Tobacco Research Institute of Forcheim Germany, recently announced that tobacco can be grown free of nicotine." Institute has been investigating 150,000 tobacco plants from all over the world; it was found that in 4,000 of the plants nicotine content could be increased or decreased as desired simply by cultivation process; close planting and regulated waterings eliminated nicotine completely. Melting pot of crops: main US agricultural products have diverse origins: corn - Mexico; wheat and rye - Siberia; potato - S. America; tobacco - Mexico and S. America; coffee - Arabia; sugarcane - China; peach - Persia; lettuce - Holland; rice - Ethiopia; beans - "East Indies" (Southeast Asia). Henry C. Folger, greatest Shakespeare collector of our time, recently died, leaving his wonderful collection to the US people. Congress has ordered construction of a building next to the Library of Congress in Washington to house the collection, which contains over 30,000 volumes. Hammerstein Theatre at 53 St. and Broadway sold for $1.250M at foreclosure sale to satisfy judgement against Arthur Hammerstein. Market wrap: Leading industrials worked slowly higher in the morning. However, rails, which were weak throughout the day, broke sharply in the afternoon, with the Dow rail average ending at 92.02, a low for 1931 and less than half a point above the extreme bear market low of 91.65 from last Dec. 16. Weakness in major rails eventually spread to industrials and across the list, and market was unsettled in final dealings. Bond trading more active, prices improved; US govts. firm; foreign strong as Brazilian issues continued rally; corp. high-grade firm, speculative rallied, rail issues a weak spot. Commodities firm; grains generally somewhat higher pending Agriculture Dept. release of winter wheat estimate; cotton moderately higher. Copper offerings at 9 1/2 cents withdrawn; lowest price available now 9 3/4. Silver rallied 5/8 cents to 28 1/8; sentiment more favorable. Conservative observers discouraged by inability of market to hold even a decent technical recovery after prolonged decline; repeat advice against trying for rally. GM pushed into higher ground on increasingly favorable auto industry reports; recent events have confirmed judgement of Raskob and du Pont interests who accumulated shares under 40 earlier in the year on anticipated pent-up demand for cars. Auto accessory shares also firmed, particularly Briggs Mfg. Strong conditions in the car industry and in structural steel orders indicate downturn in steel production will be temporary. Cigarette shares strong on anticipation retail price increase may lead to price hike by manufacturers, although it may only reflect end of an existing retail price war. However, traders may be hoping for a repeat of the price hike by manufacturers in Oct. 1929, when their shares rose 25%-30% in one day. A number of bull pools have reportedly postponed planned operations due to bears' ability in recent sessions to force stocks lower with little difficulty. Market observers are watching for resistance to short-selling, believing that if it develops the market could turn quickly due to its largely professional character. Short interest seems somewhat smaller based on borrowing demand for stocks. Recent bear rumor regarding price war by US Steel was one of the most detailed and widely circulated in a long time; many were inclined to believe it, but the best steel authorities have said it was baseless. One NYSE broker points out that 338 companies omitted dividends in the first quarter and 203 reduced them; among these were a number of majors popular with the public. This has reduced buying power of many people. Gold mining shares have been attracting more interest recently, including some public buying. It's generally known "that gold enjoys a fundamental economic advantage during periods of general business depression." France seen possibly losing gold as franc weakened against dollar and pound. Results from the marketing of the large March bond issues have been good; demand for municipals has been particularly strong. Buying has come largely from institutions such as savings banks, though some dealers report increasing public interest, concentrated on higher-grade bonds. Broad Street Gossip: Steel ingot production capacity expanded last year by 3.8M tons to 66.9M tons. On basis of current consumption, the country needs little more than half of that, but it will all be needed in years to come. Capacity was called excessive when it was 20M tons, and that remark will still be heard when capacity is 100M tons. By that time, developing countries in S. America and elsewhere may need 10 times the current amount. A broker points out that plant expansion and advances in productivity have caused capacity to temporarily outgrow consumption in copper, steel, rubber, oil, and many other industries. In this situation, cooperation is needed to stabilize the industry and assure a fair return to investors and fair wages, but any attempt in that direction runs into antitrust problems. These industries will therefore suffer until consumption catches up or something is done to bolster prices. Many old traders agree recent action indicates a sold-out market, though they also agree the bears are still in a selling mood. On the other hand, certain traders who keep in touch with operations of the big bears say many of them have covered and most of the recent short selling has been by "amateur bears." Bank of US trial continued with questioning of two discount clerks regarding the bank's financial dealings with affiliates. Evidence seen that automotive steel orders may increase over next few weeks after slowdown in past two weeks. Feb. auto exports reversed downtrend, rising to $17.2M vs. $15.5M in Jan. but still down from $32.8M in 1930. Fed. Reserve reports money in circulation Apr. 8 down $6M to $4.614B, total Reserve Bank credit outstanding down $14M to $929M. Member banks in NY City report brokers' loans down $53M to $1.822B; loans on securities to non-brokers down $3M to $1.789B. Treasury offering of $275M in 8-month 1 7/8% certificates oversubscribed on first day. Two US companies withdraw from $30M Berlin Electric loan [mentioned 3/21 as hopeful sign]; Harris, Forbes is seeking US interests to replace them. Standard Oil of Indiana cut retail price of gasoline 1 cent in Chicago territory, to 14 cents/gallon. US Tobacco Journal reports independent cigarette retailers across US will follow price hike of United Cigar and Schulte chains from 13 cents/package (2 for 25) to 15 cents (2 for 27). Committee from 10 oil producing states appears before Federal Oil Conservation Board and outlines plan for stabilizing oil industry. Oil states would enact interstate compact with approval of Congress to restrict production to consumption and allocate allowed production among states; committee also urged that imports be curtailed accordingly. Interior Sec. Wilbur said program had the Board's approval, though it had no legal authority. Contracts for sale of East Texas crude oil made as low as 20 cents/barrel. Agriculture Dept. estimates winter wheat crop at 644M bushels, higher than 619M expert consensus, vs. 1930 production of 604M, and 1925-29 avg. of 547M. German unemployed Mar. 31 were 4.772M, down 200,000 from Feb. 28. Representatives at international sugar conference in Paris discussing compromise that may lead to completion of Chadbourne plan for rehabilitation of the industry. Kreuger & Toll annual report: important permanent holdings in 21 industrial, banking, and real estate businesses; of these, 16 showed increased earnings in 1930; good showing attributed to Sweden having thus far been less affected by worldwide crisis; however immediate outlook for trading operations not favorable. Auburn Automobile reported sharply higher earnings for quarter ended Feb. 28; net was $1.06/share vs. $.55 in 1930. Gillette earnings in first quarter were somewhat better than expected, as integration of Autostrop purchase is proceeding well; benefit expected from new, improved razor that prevents use of blades other than Gillette's. Radio Corp. doing worse than expected in Q1. Companies reporting decent earnings: Auburn Auto., Crown Cork & Seal, National Breweries, Novadel-Agene (products for bleaching wheat and flour), Cream of Wheat Corp. The Wiser They Are - "Saucy entertainment" starring Ruth Gordon and Osgood Perkins, at the Plymouth. Bruce Ingram tires of womanizing and impulsively decides to marry his god-daughter Trixie, a chronic flirt who "has been more discreet in her practices than Bruce, but even more lavish in her promises." Embarking on an ocean-voyage honeymoon, their respective pasts turn up on the ship to "sadly and absurdly" complicate matters. Mr. Perkins is competent if a bit too caustic, but Miss Gordon makes the play, doing "extraordinary things with her hands, her face, her voice, and her personality ... she does most amusingly the sort of thing she has done beautifully in more ambitious plays. Unusual fun ... a brisk addition to the limited list of smart comedies for sophisticated audiences." The Great Man - romantic comedy staring Walter Woolf at the Ritz. Pirate "Captain O'Malley, terror of the Carribees, captures a Central American seaport" and carries off, much to their delight, the "entirely promiscuous" wife and virginal daughter of the govenor, who become rivals for his favor. Play is unfortunate choice for the "impressive" Walter Woolf; attempt at "free boisterous deep-chested comedy ... is loose instead of free, dirty instead of earthy and watery instead of salty." "Hyde - Were you lucky at the races yesterday? Wyde - I should just think I was. I found a quarter after the last race, so I didn't have to walk home." 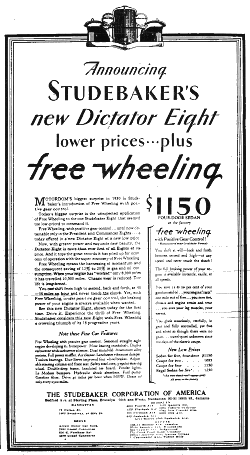 Old farmer to Sears: "Please send me one of them gasoline engines which you advertise on Page 785 and if it is any good I'll send you a check for it." Reply from Sears: "Send us the check and if it is any good we will send you the engine." Editorial celebrating Chicago's defeat of Mayor W. Thompson in Tuesday's elections [last Republican mayor of Chicago; subject of many corruption charges including being on Al Capone's payroll; once held successful "debate" with two large rats representing his opponents; threatened to punch King George in the "snoot"]. "Only under peculiar and extraordinary conditions ... would three terms of the grotesque Thompson region have been a possibility ... his defeat is a source of satisfaction to the entire country." Another Woodlock editorial smackdown! A reader complains that in criticizing the Progressives, Woodlock hasn't mentioned why they've become more vocal: "the Progressive doctors have barged into the hospital" because they believe, with reason, that "their Conservative brethren have so far made a mess of things through persistently trying to cure the sick man by dosing him with the same truck that poisoned him in the first place." In response, Woodlock compares the Progressives to the "Flaming Youth" who, after the World War, "informed its elders that they had made a mess of the world, that their entire system of faith and morals was wrong, and that 'youth' would take the helm" free of the "old inhibitions ... taboos, and hypocrisies." This movement has now apparently petered out; todays youth "threaten to be more serious than our elders" and are rediscovering "that there are truths and 'standards' which do not change with time." What Progressives don't realize is that leadership is a rare quality that must be recognized, not imposed; public control of business would mean "control of the more competent by the less competent, and biology tells us that it will not 'work.'" Editorial: In past depressions, "the first indications of trade recession were normally accepted by big and little employers as full warrant for unhesitating discharge of employees and, wherever possible, reduction of wage scales." This time has been different; corporations have been slow to cut employment or wage scales, and, surprisingly, stockholders haven't raised much complaint about change from the former dogma that "owners of a business had a prior lien upon its earning power." Extensive survey of industrial sickness and accidents found huge social and economic losses; 1930 saw 23,000 deaths and 3M injuries due to industrial accidents, accounting for $4B of losses; costs of sickness were an additional $6B. Losses are largely preventable as "shown by ... a large steel company which, in an eight-year 'safety-first' campaign, has reduced its accident rate about 50%." Other companies "through establishment of their own medical forces and by educational campaigns have reduces losses due to illness, sometimes as much as 90%." 60,000 farm and general workers to strike in Denmark protesting wage cuts; 44,000 unskilled workers in Norway to be locked out. Delegates of Northern district of New South Wales, Australia vote to secede and form new "State of New England." A recent study of 1,410 suicides in San Francisco found: about 300 were women; married out-numbered unmarried 3 to 2; most were between 40 and 50 years old. Most common method is inhaling gas, followed by guns and jumping from windows or boats. Most common motives are bad health, mental derangement, financial loss, liquor, lack of work and domestic quarrels. Month with most suicides is Dec., least July. Utah law prohibiting billboard advertising of cigarettes upheld by State Supreme Court. Fishermen along France's Breton coast last summer suffered a plague of "devil fish," AKA octopus; attempted extermination was foiled by deep water and rocky ocean bottom. Plague was unprecedented there and no satisfactory explanation has been given. Dr. G. Burgess, US Bureau of Standards director, announces first liquid helium produced in low-temp. lab; helium is hardest of all gases to liquefy. Canadian Pacific Railway's washday must be something to see - it owns 2.5M pieces of linen including its railway, hotel, and steamship departments, and washed 33.1M pieces last year. Washing is done mainly in their hotels, but assistance is often required from outside sources. Louis B. Mayer elected pres. of Assoc. of Motion Picture Producers, succeeding Cecil B. De Mille. Market wrap: Stocks opened firmly in spite of recent poor business news; late morning brought some irregularity, lead by pressure on rails, sulphur stocks, and Fox Film; however, good support came in and rally again progressed into early afternoon; another bear attack developed in the last hour, bringing heavy selling in Radio Corp. and some weakness across the list; however, support again came in and market turned up at the close. Bond trading mixed; US govts firm again; foreign list helped by sharp rally in Brazilian issues; corp. highest-grade firm but weakness in many lower-grade and speculative issues. Commodities mixed; grains mostly steady, with wheat firm and other grains narrowly mixed; cotton down substantially. Copper buying remains quiet; small amount offered at 9 1/2 cents, other producers not quoting. Zinc declined to 3.90 cents/pound, lowest price since 1902. Conservative observers still cautious; advise against trying to profit on technical rallies; recommend protecting long positions with stop-loss orders slightly below resistance levels of past 2 days, since if stocks break through those levels they may go even lower before a good recovery develops. Almost all the Jan.-Feb. rally has now been erased, bringing many stocks back to the area where accumulation came in at start of the year; it remains to be seen if important buying will return. A well-known market student says he distrusts the current market since US Steel is reaching new lows while trading favorite Auburn is reaching new highs. Volume has declined sharply in recent weeks, from 3.966M daily avg. in Feb. 28 week to 2.248M in week ended Saturday. This is seen reflecting lack of public interest and a market in professional hands. Despite the lower volume, the fact the market has shown no rallying power makes many believe a selling climax will come before market is ready for substantial recovery. Rail freight loadings figure caused some disappointment, showing small week-to-week decrease and slightly larger decline vs. 1930. Tobacco shares were strong early after two chains increased retail prices to 15 cents/package. Pennsylvania RR is subject of some dividend rumors, though nothing has come from "responsible quarters" so far. Allis-Chalmers dividend considered uncertain; although business is gaining, co. probably failed to cover dividend in Q1. United Fruit Co. reported Q1 earnings of 91 cents/share vs. 72 cents in Q4 and 46 cents in Q3; observers feel co. may have turned corner after being bear target in Dec. Woolworth declined on disappointment they only declared regular dividend with no increase. Auburn again rose sharply. Broad Street Gossip: Recent market action has upset many traditions, including the ones about never selling a dull market, a market with mostly bearish sentiment, or a stock after the bad news is already out. It's also been unusual in that stocks whose earnings have held up fairly well have declined along with the rest. US Steel, normally a bull leader, seems to have been borrowed temporarily by the bears for use as a bear leader. Recently released shareholder lists seem to counter rumors that the public or large shareholders are liquidating; instead they bear out theory of many traders that speculative trading has been moving the market. Rally in Brazilian bonds seen as technical; since the revolution last Oct., the milreis currency has declined from $.1078 to record low of $.0730 in March. Brazil has a trade surplus, but is losing heavy amounts of gold due to interest payments abroad; gold holdings at end of Jan. were only $8M vs. $139M a year earlier. C. Nash of Nash Motor says Midwest shows signs of trade revival, should be moderately prosperous by Jan. 1932; auto industry building sales gradually. J. Barnes, General Bronze pres., says depression in building industry continues throughout country, sub-normal volume of new construction work available. Bernard Baruch says expects "more general prosperity" to follow current situation "when adjustments are made"; recommends rigid economies. M. Norman, Bank of England gov., visited Sec. of State Stimson, who wouldn't give details of Norman's talk but said he was "no protagonist of optimism." Steel industry reported mix of positive and negative news. Production dropped again, but rumors of an impending steel price war decided on by US Steel at a secret meeting April 3 were strongly refuted. Upcoming US Steel unfilled orders report seen likely to show a moderate increase. Finished product prices showed mixed trends; scrap was slightly firmer. Opinion was divided on whether production had peaked for the first half, with some attributing the decline to a temporary overbuying error by a large car maker. Outlook for structural steel looks strong. Current schedule for April car production indicates 14% gain over March to 320,000 vehicles, best Mar.-Apr. percentage increase since 1925. Total known security loans (more comprehensive total than brokers' loans) declined $66M in March to $7.712B, the 11th consecutive monthly decline; total reduction in that period was $2.922B or 27.5%. Loans are now 41.6% below peak on Sept. 30, 1929 of $13.205B, and are back to mid-1927 level, though total value of listed stocks and bonds is $101B vs. $82.667B then. [Brokers' loans declined much more, from peak of $6.8B to under $2B]. Judge J. Moore temporarily blocks East Texas oil curtailment order; petition was on grounds curtailment violated antitrust laws and was based on unreasonable market demands, not conservation of Texas oil and gas resources. US electric output for week ended Apr. 4 was 1,672 GWHr, down 1.6% from 1930, vs. a 1.5% decline prev. week and 2.3% two weeks ago. Total of $4.869B in foreign govt. debt is outstanding in US market (excluding Mexican and Russian debt). Price fluctuations have been wide due to some fears of default. While some are pessimistic on the outlook, level of defaults has been relatively small since the war, though three S. American issues have defaulted this year. Banco Agricola Italiana closed; had 200 branches, current liabilities 1B lire; customers being distributed to other banks, govt. guaranteeing them against loss. Delegates from US, Cuba, and 6 other countries met at international sugar conference in hope of establishing world sugar price this week. Leaf tobacco exports in 1930 were 579.7M pounds, 65.4M over the 10-year average and second-largest in last decade. NY City Board of Estimate approves $50M first step in 10 year, $272M program to add 540M gallons of water to NY City's daily supply. Reports confirmed of planned merger among 20 NY City banks to form institution with assets over $100M. Western Union reports 11.5M telegraph messages transmitted in Jan., about 14% below last year. Strike of 20,000 miners against Glen Alden Coal ended. Companies reporting decent earnings: Kreuger & Toll, Assoc. Telephone Utilities, Chesapeake & Ohio Rwy. (against industry trend), Boston & Albany RR, Assoc. Portland Cement Mfrs. Ltd.
Joy of Living - at the Masque. European comedy import concerning happenings at the Berlin home of the nouveau riche Gustaf Marx, during 12-hour period starting at 3 o'clock one morning. Marx has just made a fortune trading a stock; he meets the down-and-out, suicidal Adam who just lost everything trading the same stock; Marx talks Adam out of suicide and into becoming his valet. Marx decides he needs female company and sets Adam to the task; he brings in a penniless girl from the streets and the two men become rivals for her love. Marx, in a drunken state, offers Adam credit, Adam uses it for a stock deal to make himself rich again and ruin Marx in the process. In a happy [I think] ending, Adam wins the hand of the young lady, we discover both he and the lady are members of the aristocracy, and Adam makes Marx a partner in his new gold mining company. Actors try hard, but absurd plot is too much of an obstacle. "Young Wife - Would you be surprised if I gave you a $50 check for your birthday, darling? Husband - Yes sweetheart, I would. Wife - Well, here it is all made out and ready for you to sign." A knee-slapper from Lord Dawson of Penn in the current Atlantic magazine: "A farm laborer in England had been out of work for many months and had been living on the dole. He remarked to his physician one day: 'Doctor, do you know I had an offer of work some days ago which would have given me five shilling more a week than I am getting from the dole, but after giving it thorough reflection, I preferred to remain independent.'" Supreme Court Justice Oliver Wendell Holmes Jr., who recently turned 90, continues to sprinkle literary gems into his opinions. In a recent case he wrote that corporations must abide by the laws that created them and not claim all the privileges of a private citizen; "We have to consider not a geometric equation between a corporation and a man but whether the difference does injustice to the class generally." In another, he observed "The interpretation of Constitutional principles must not be too literal. We must remember that the machinery of government would not work if it were not allowed a little play in its joints." NY State Democratic efforts to pass banking regulation to protect depositors by requiring segregation of savings accounts at commercial banks blocked in State Senate; Gov. Roosevelt had asked for the measure after the Bank of US failure. Gov. Roosevelt signed bill providing additional $10M to carry on work of NY City's privately started emergency employment committee. Editorial against attempt of Mahoning Valley steel mills to suppress weekly production reports on grounds the recent poor figures are encouraging buyers to hold off for concessions. This "new policy of mystification ... has not even the narrowest practicality to recommend it" since buyers have other ways of testing the market. Deceptive optimism of early 1930 had poor consequences; "today ... businessmen are convinced that fearless recognition of facts, no matter how disagreeable ... is the only really helpful course." Editorial: Agriculture Dept. report of Feb. farm exports makes grim reading; index of exports was 71 vs. 85 in Jan., 79 in 1930, and 107 in 1929. Business conditions caused part of this decline, and on that score recent developments are more cheerful. However, the report's details suggest political factors as well. For example, wheat and flour exports are at 43 vs. 65 in Jan. and 78 in Dec.; political actions in this country have met with retaliation in form of tariffs and quotas on those products. "Can it be that our policies in respect to reparations, war debts and tariffs have anything to do with strangled markets for farm products?" Washington report: Supreme Court to decide important cases including suit against Indiana tax directed against chain stores, and State of Arizona suit to block construction of Hoover Dam. M. Norman, Bank of England Gov., gave some statistics on British unemployment insurance, "probably not unmindful of the fact that a Senate survey of the subject is underway." British unemployment fund now owes $340M to the Treasury, and this is increasing about $5M/week; large increase in unemployment has upset initial calculation that the system would pay for itself through required contributions. Talk is being heard of possible wage agitation as it appears some industries may need to break ranks and start cutting wage rates due to drastic declines in profitability. This may interfere with "one of the encouraging aspects of the past few months ... the scarcity of labor disputes." Scheduled airlines carried 417,505 people in 1930, more than double the 1929 total. Leather belts joining engines and generators in San Francisco's Mills building have been in constant use since 1891, surviving the 1906 earthquake and fire and travelling a total of over 5M miles around the flywheels in that time; "there is not a sign of wear on them." Anita Colombo was recently named director of the famous La Scala opera house in Milan, becoming the first woman director of an opera company and the subject of bitter protests; although "enraged men were able to salve their pride" by pointing out Colombo's "firmness, masculine energy and businesslike habits" were due to her "Teutonic origin," and therefore not likely to be imitated by Italian women. Western Show Co. sues Ringling Brothers for $1.040M, charging conspiracy to create monopoly in circus business. Market wrap: Stocks opened weakly on accumulation of sell orders; pressure again converged on US Steel, which worked slowly lower; Bethlehem also sold off; selling broadened and decline spread through the list; major industrials including Westinghouse, GE, and American Can sank with some nearing their bear market lows; trading favorites suffered sharp declines; market closed with weak tone. Bond trading picked up a bit but was still quiet; US govts. firm after successful NY State bond sale; foreign govts. again unsettled on acute Brazilian weakness; corp. irregular, mostly lower; NY City traction bonds strong after adoption of unification bill. Commodities weak; grains declined; cotton down sharply. Copper buying quiet; one small producer sold at 9 1/2 cents but others are out of the market. Conservative observers continue cautious, believe bears have upper hand; while some say a technical rally is overdue, most advise reducing holdings on any rallies that develop this week. Selloff in steel shares intensified in afternoon after announcement of steel production decline; US Steel came within a point of its bear market low reached last Dec., while Bethlehem was pressured by reports questioning safety of dividend. Rails received some support after Atchison declared regular dividend. Oil shares recovered early following report of production decline last week. Recent market action has been puzzling traders due to largely professional character, "with price movements dependent almost entirely upon the trading activities of various big operators." Responsible observers of cigarette industry discount rumors of rise in wholesale prices in near future, believe this won't happen until July at the earliest. Cement interests acknowledge downtrend in demand and prices over past few months. Some observers believe Chrysler will be able to make a relatively good showing even at lower sales volume due to firm control over expenses. Broad Street Gossip: Some attribute the market decline to lack of public buying, but many big corporations showed large increases in shareholders in Q1; "evidently, the investment public was in the market in the first quarter, but not the speculative public." It's been a very dull market, but professional bears haven't been afraid to target it in spite of the tradition against selling a dull market. One broker observes there's little buying power under the major stocks; a stock that can be run up 5 points by buying 25,000 shares can be put back down on 10,000 or less. Brokers in the stock lending market report short interest is still large, with bears reluctant to cover as long as market "lacks signs of rallying power." A good 1931 appears likely for steel rail production, since production in 1931 was only 1.835M tons, down 828,000 from 1929 and 685,000 below the 1920-29 average. Committee for Petroleum Economics forecasts world gasoline demand Apr. 1 - Sept. 30 at 252M barrels, down 0.8% from 1930; US demand 222.8M, up 1.5%. Increasing confidence seen in Germany's future, “in direct contrast to the feeling of alarm” last fall. At that time, mere hint of revision in reparations greatly disturbed markets; now, report that Britain has invited Chancellor Breuning to London, apparently to discuss reparations, has had no effect. J. Monnet, Transamerica vice chair., sees several hopeful European developments in recent months that haven't been fully appreciated in US, including apparent French-Italian rapprochement, possible increase in French lending, economic strides in Germany, and contribution to stability by Bank for International Settlements. Sees clear signs of returning confidence in Europe; speed of recovery will depend on resumption of foreign lending in US and French money markets. Dr. S. Miller, Nat'l Assoc. of Credit Men manager, says US as creditor nation is morally and economically bound to lend to other countries to stabilize business. K. Collins, R.H. Macy VP, says over half of $6B installment debt incurred prior to start of depression in 1929 has been liquidated, and an increasing number of families is again in position to buy freely. T. Watson, IBM pres., says company is hiring more employees in 1931; earnings, which set record in 1930, continuing to increase this year. Bank of US trial opened with lengthy argument by defense counsel asking for dismissal, leading to several clashes between opposing counsel. Judge ordered defense to produce memorandum by Friday; in the meantime, trial will be resumed this morning. A.& P., "world's greatest chain store system, paid its respects to the business depression" by reporting record-breaking 1930 in almost every way; earnings were $13.86/share vs. $11.77 in 1929 and $5.49 in 1925; sales were a record $1.066B, $12.1M over 1929; cash rose to $73.4M, double all current liabilities; profit margin was 2.88% vs. 2.40%, highest since 1924. Steel production downtrend continued; week ended Monday was 52% vs. 55% prev. week, 57% two weeks ago, 74% in 1930, and 95.5% in 1929. Refineries ran at 62.5% in week ended Apr. 4; stocks of gasoline decreased 1.368M barrels to 46.076M. Crude oil production in week was 2.252M barrels/day, down 23,250 from prev. week and down 278,350 from a year ago. Declines in Okla. and Calif. production offset increase in East Texas. Capacity for oil delivery from East Texas fields will soon double from current 125,000-150,000 barrels/day, as six major companies are building or planning pipelines. Area now has 130 producing wells and 400 drilling tests and wells in progress; daily production averages 145,000 barrels. Call money eased back to 1 1/2%, confirming view that flurry to 2 1/2% on Monday was temporary. NY State $35.0M issue of bonds due 1932-1981 sold at interest cost of 3.46%, about the lowest on record; cost for previous issue last April was 3.78%. Treasury announces $275M offering of 8 month certificates Apr. 15, of which $200M will be used to pay veterans' bonus. Monthly bank statements reveal flow of veterans' bonus loan payments; as yet only about $25M of $175M paid out has found its way into bank deposits. Recent trend of banks selling govt. securities while buying non-govts. continued, seeming to confirm greater confidence in business conditions. NY City transit unification bill was passed in Albany late Monday night after emergency message from Gov. Roosevelt; State Sen. Knight dropped his proposed amendment, leaving Board of Transit Control nominations entirely in hands of mayor and traction cos. It's likely the merger will take place this year. Traction [mass transit] stocks rose after the vote, but are still well below prices indicated in the unification plan as it must pass through a gauntlet of required approvals and possible modifications by the Transit Commission, the companies involved, the Board of Transportation, and the Board of Estimate. Rail freight loadings for week ended Mar. 28 were 740,079, down 1,863 from prev. week, down 16.4% from 1930 week, and down 23.6% from 1929. Amer. Iron and Steel Inst. figures on March steel production show less than seasonal gain; figure was 16.17% higher than the Dec. low, while a year ago March recorded a 23.39% gain from the low; the year-ago gain also came off a much larger starting point. NYSE bond trading in March was $247.0M vs. $194.4M in Feb. and $351.2M in 1930. Canadian representatives of mortgage cos. and financial interests urge govt. to abandon plan for debt adjustment board. Argentine business failures in March were 43.6M pesos ($15.2M), highest for the month in 30 years and up sharply from 18.2M pesos in 1930. Texas Corp. says it considers new Colombian oil law so drastic it won't undertake development on its 800,000 acres of properties. So. Cal. Edison reports Q1 revenues will probably be higher than in 1930; forecasts rise in connected load of 14% during 1931. Representatives of 20,000 coal miners vote to continue strike against Glen Alden Coal Co. in Wyoming Valley. Anaconda Copper is earning slightly more than the $1.50 annual dividend rate in spite of low copper price and production rate, an indication of its efficiency and low cost of production. S.H. Kress Mar. sales were $5.259M, up 0.7% from 1930; J.C. Penney $12.443M, down 12.4%; Walgreen $4.499M, up 2.2%. Companies reporting decent earnings: A. & P., Eastman Kodak, Pennsylvania Gas & Elec. Skippy - Paramount film based on Percy Crosby's cartoon. Starring Jackie Cooper of Our Gang comedies fame as Skippy and Bobby Coogan [younger brother of Jackie Coogan] as Sooky Wayne, the boy from Shantytown befriended by Skippy. The boys have 3 days to come up with the money for a license for Sooky's dog to save him from the pound; Skippy must also convince his father, the local health supervisor, not to tear down Shantytown. They fail to save the dog but in the end the father is "reformed in a flash" and the three walk arm in arm down the street. 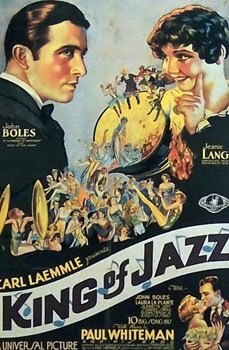 Film is dull, lacking “freshness and sparkle” of the cartoon; acting generally poor although Jackie Cooper gives excellent performance. John Levy Galleries are showing Mexican modernist Jean Charlot's "ultra-racial and boldly carved-out forms ... use of ancient symbols in his work has led him to evolve strange anatomical variations on the human form." In event of "exceptional importance," American-Anderson Galleries will auction off woodwork of a complete room by Samuel McIntire, famous architect and cabinetmaker of Salem, Mass. [1757-1811, one of earliest US architects, Federal style]. "Who can dispute New York's leadership in the art of finance when even a policeman of that city was able to save $1,500 a month out of a $3,000 a year salary?" Canada's banking system offers interesting comparison with the recent epidemic of bank failures here. From 1900 to the present there have been only 4 chartered bank failures in Canada in which depositors were not eventually paid in full. Three of these were before the war, the fourth since; total deposits were $17.5M. In the US there have been 7,000 bank failures since 1914 involving liabilities of about $3B; in the last year alone, 1,345 with total deposits of $865M. Editorial: Senate floor leader Watson's (R, Ind.) statement that the next Congress won't raise taxes, while probably accurate as political weather forecast, is based on unsound reasoning. Watson says business recovery would be delayed by heavier taxes, but business will be disturbed by heavy Federal spending, whether enabled by higher taxes or borrowing. While Pres. Hoover has also expressed hope a tax hike can be avoided, he added the caveat that this would require holding spending down, and said the people would have to cooperate to discourage new spending. This is unlikely as long as [income] taxes are confined to such a small slice (2M) of the population; a "spendthrift Congress" won't be reined in until "the number of citizens who directly pay something, no matter how little, as a result of its prodigality is increased enough to exercise some power at the polls." Gov. Roosevelt vetoes bill allowing town supervisors to issue short-term notes to pay off bond interest, calling it "at variance with all sound methods of finance." Testimony heard in ongoing suit brought by govt. to recover $11M in alleged excess wartime profits from Bethlehem Steel; R. Evans, Bethlehem Steel chief counsel, contends US Steel made 50% profit on wartime contracts vs. Bethlehem's 21%. Editorial: In response to J. Raskob's call to Dem. Nat'l Committee members for suggestions on farm relief, "unasked advice is rarely appreciated, yet the subject is of such importance that this newspaper ventures to offer a suggestion." Agriculture should no longer be given "special favors ... to the detriment of other legitimate interests." The Farm Board should be stripped of power to speculate in commodities or to loan money; it should survive, but purely as a fact-finding body within the Agriculture Dept. to "show the farmers how to help themselves." Wileman's Brazilian Review says country faces most serious economic crisis in its history, even greater than at declaration of Republic in 1889. During period after the Republic was formed, states were given financial autonomy; as result, Brazil buried herself in external and internal debt by 1930. Following revolution of Oct. 1930, provisional govt. has assumed much of the state debt and faces severe situation; further political disturbances will have disastrous effects on Brazil's credit. Yet another Woodlock editorial on perils of public power. Oregon and Washington have approved public utility districts, supposedly to allow cities economic advantages of larger units. Perhaps concept of public power needs to be tried out on a large scale somewhere, but there should be accurate accounting of the result. The two states above have made tax revenue available to power districts; there's apparently no intention to make them pay as they go. "It is a very dangerous thing to open the tax budgets to experimentation in the utility business without ... taking extreme precautions against hit-or-miss operations." This can lead to "indiscriminate slashing of rates to begin with and a constantly increasing load on the taxes" along with destruction of private utilities. Telephone users in Japan who don't like the number they were assigned can purchase a new one through dedicated brokers. The luckiest numbers such as 8 and 357 fetch astonishing sums, often from $500 to $3000 or more. Unluckiest numbers (42, signifying death, and 49) are assigned to police stations. California prison inmates are allowed to take correspondence courses offered by the University of California. A large number take advantage; one day last Sept., a total of 657 San Quentin prisoners graduated from these courses. "A tree carved with the words 'Kit Carson 1846' was recently discovered ...near Mud Lakes in the Eldorado National Forest of California. Six inches of new wood had grown around the original blaze." Another tree carved by the frontiersman in 1846 is still standing in what is known as Kit Carson Pass in that Forest. Market wrap: Stocks gained slightly in early trading but fell under renewed bear pressure, concentrating on US Steel. Majors declined through the day, with Steel hitting a new 1931 low at the close. However, trading was relatively dull following rise in call money, with heavy selling limited to isolated spots including Pullman due to dividend uncertainty, and the volatile Vanadium. Bond trading very dull; US govts. steady; foreign list disturbed by sharp break in Brazilian bonds, though Berlin issues were strong; corp. highest grade steady, particularly utilities, but "readjustments went on" in much of the list. Commodities soft; grains fell back after sharp rise Saturday; cotton down slightly. Copper still available at 9 3/4 cents in enough volume to meet current low demand; large producers holding at 10 cents. Conservative observers bearish; recent market action has discouraged all public buying. Most brokers now recommend customers wanting to buy should favor “thoroughly deflated” issues that have not been subject of bull pool operations, but have favorable prospects and financial strength. Increased bear confidence in past week attributed to return of three important operators “after a winter sojourn in the South and Cuba.” US Steel will report unfilled orders Friday; interest in the announcement is keen since the stock has recently seemed pivotal to both bears and bulls. Some NY traction bonds rallied on prospects a transit unification law may be passed this week. Dow theory students have been encouraged by the rail average's ability to hold stubbornly above last year's lows so far in April; this has "gained many adherents for the theory that the December lows will stand unless some unexpected change for the worse occurs in the business situation." Current downtrend has lasted longer than the severe break late last November, and would have been expected to bring in "most of the liquidation immediately overhanging"; slowdown in selling since Thursday "strongly suggests that no further extensive liquidation lies immediately ahead." Market value of all NYSE-listed stocks Apr. 1 was $53.336B, down $3.718B in March; borrowing by NYSE members against stock collateral $1.909B, up $69M; borrowing as percentage of value 3.58%, up 0.36%; average share price $41.08, down $2.88. Trading volume of 25 most active NYSE stocks in March was 26.289M shares, up 25% from Feb. and third straight sizable increase; 20 of the 25 declined in price. Leader in shares traded was United Corp. with 3.256M shares; in value traded Auburn, $145M. H. Sinclair says petroleum prices will have to be increased or companies will be unable to stay in business. H. Alloway relates interesting observation by William C. Whitney on effects of depression on tobacco sales: “The more laborers out of work, the more restless strikers there are, the more tobacco earnings there are”; men out of work or on strike consume much more tobacco. W. Storey, Atchison, Topeka & Santa Fe RR pres., returns from 4-week inspection tour of lines, says crop conditions as good as he's ever seen them. F. Dame, North Amer. Co. pres., says “depressing and backward-looking surveys” are missing many signs of improvement, including absence of usual seasonal dip in electricity demand in their system. Nichols Copper chair. C. Nichols says doesn't believe mining industry will improve until fall. Harvard Economic Society sees economic upturn soon; business has shown improvement in important directions, allowing fully for seasonal influences. Jury selection for Bank of US trial completed; trial probably will open this morning. Pres. Hoover's employment committee reports public and semi-public works contracts have passed $1B since Dec. 1; see stable or slightly improved conditions in industrial employment; continued need for relief in most areas. Auto industry is being aided by new plan in which industry compensates dealers to junk cars that are antiquated or unsafe instead of reselling them. Treasury financing to be announced by Sec. Mellon Thurs. ; expected to offer over $300M in certificates. Govt. debt operations will be important factor in financial picture for several months at least; Treasury likely to attempt shift of debt to longer-term since recent borrowing due to deficit and veterans' bonus has increased already high short-term debt. Call money unexpectedly rose to 2 1/2%, highest since Jan. 2; attributed to withdrawal of $100M from demand loan market due to recent Treasury financing and cashing of Apr. 1 dividend and interest payments. March bond offerings rose sharply after lull caused by veterans' bonus agitation; total of $661.9M vs. $147.0M in Feb. and $583.0M in Mar. 1930; highest total since Oct. 1927. Municipals were 43.4% of total, rails 28.8%. S.W. Straus & Co. report NY City building plans filed in Mar. were $51.2M, up 96% from Feb. and up 39% from Mar. 1930. Sharp 20%-50% rise in leather prices in past month from very low levels should help tanners; fluctuation mirrored a severe decline and limited rebound in shoe production. However, current shoe production remains 30% below the 1923-1930 average. Average retail price of gasoline has declined over 48% in past 10 years, but tax rate has increased over 2,600% and now adds 13%-52% to the price. Price range 10 years ago was 23.05 - 31.43 cents, or 23.33 - 31.53 including tax; range is now 11 - 22 cents or 15 - 26 cents including tax. California oil production fell 9,300 barrels/day to 521,400 in week ended Apr. 4 following drastic purchasing price cuts. George R. James accepts reappointment to Fed. Reserve Board on request of Pres. Hoover. French coal miners abandon plan to strike as protest against wage cuts. Breuning govt. commission recommends Germany adopt five-day workweek to fight unemployment; number of German unemployed close to 5M. G. Platakoff, head of Russian chemical industries, arrives in Berlin to direct details of shipment of $75M of German machinery to Russia. Banca Agricola Italiana, capitalized at 80M lire, to be liquidated, branches absorbed by other banks. Canadian report: Rail freight loadings for year to Mar. 28 were 607,795 vs. 740,134. Construction contracts awarded in Mar. totaled $27.3M, up 5.3% from Feb. and up 12.6% from 1930. New bonds in first quarter were $191.5M vs. $162.6M. Govt. raises tariffs on imported gasoline to combat “dumping,” protect refiners. Newsprint industry suffering from low demand; companies conferring to avoid price cuts. Colombian Senate considering contract for exploitation of Catatumbo oil region; contract specifies company must begin development within 2 years, construct $25M pipeline, hire 75% native workers, and pay govt. percentage royalty on oil; several Senators already on record opposing it. MacDonald govt. in Britain said considering required quota of 15% British wheat to be used by bakers to absorb all milled wheat from British farms. W.T. Grant March sales $5.334M, up 7.4% over last year; F.W. Woolworth $21.724M, down 3.3%; American Stores $10.771M, down 4.7%. Wrigley seen possibly raising dividend due to strong financial position and growing earnings (stock is 73; annual dividend $4; earnings in 1930 of $6.14/share vs. $5.80; earnings have increased every year in the last decade except 1926; cash and securities per share $12.69). B.F. Goodrich cuts wages in line with recent Goodyear cuts. Companies reporting decent earnings: National Electric Power, Southwestern Gas & Elec., Paramount Publix, Alaska Juneau Gold Mining. Business Man to his daughter's suitor: "I regret I cannot see my way to allow you to marry my daughter at present, but give me your name and address; then, if nothing better turns up in the near future, you may hear from us again." "He - I have many reminders of my prowess in winter sports. She - What are they? He - Three cups and two medals. She - Lovely. I have trophies from winter sports also. He - What are they? She - Five engagement rings." Editorial: Pres. Hoover, in his recent visit to the Virgin Islands, made some gloomy remarks to the effect that they were "an effective poorhouse" that the US was unfortunate to have purchased from Denmark. The new governor of the Islands replied "no government can give a people prosperity." He discreetly refrained from stating what most already knew: that the US govt. in fact deliberately destroyed the Islands' prosperity by extending Prohibition there, ruining their main business of manufacturing world-famous Santa Cruz and bay rum. Citizens of the Virgin Islands are "slowly and needlessly dying as the result of the noble experiment ..."
Editorial: The NY State Senate's has played a "cheap trick" on Gov. Roosevelt in amending the St. Lawrence power bill to name as members of the new Power Authority the commission that the Gov. himself appointed to investigate the issue a year ago. Not only is this a "gratuitous affront" in denying the Gov. his usual power of appointment, it is also a "covert insinuation" that he "might seek to 'pack' the new body" to promote his pet aims; the precaution is in fact unnecessary because of safeguards in the original bill. Phone calls to and from the White House since Pres. Hoover took office totalled 711,780, more than double number in any similar period. Thomas Edison to exhibit rubber made from goldenrod at 1933 Chicago World's Fair; exhibit will be in cooperation with Henry Ford. In the past few years sunlight has come into vogue as an aid to health. Sunlamps have become standard equipment at gyms and barber shops, and are urged for home use; natural sunlight has been carefully studied. Air particules such as dust and soot have been found to block beneficial rays of the sun; on the other hand, the sun's intensity is magnified by water. Most recently it's been found that trees with light bark and shiny leaves also increase the sun's intensity. "Studies in the Chippewa National Forest show that groves of aspens or birches have an intensity of 140% of sunlight." London burns 3M tons of coal daily in winter, both for home and industry; due to inefficiency only half is converted to heat while the other half is released into the atmosphere as "smoke, soot and other by-products." The British Sunlight League estimates 800 tons of foreign materials occur per square mile above London annually. "Large amounts of coal dust and even small particles of coal are frequently found in the lungs of those who die from respiratory diseases ..."
Union Pacific says it completed branch line between Boulder City, Nevada and Las Vegas Feb. 15, providing only rail access to the Hoover Dam, "world's greatest reclamation construction," which will create a man-made reservoir of 240 sq. miles. Adjacent 4,200 sq. miles in Nevada and Arizona, which has been set aside as a national monument, anticipated to become "a most interesting attraction to people throughout the world." Market wrap: Short stock session eventful considering many operators were off for holidays. Stocks briefly declined at the open; US Steel was pressured and hit a new 1931 low. However, this didn't lead to general liquidation and matters quickly reversed; leading shares staged good rebounds; motors were a strong spot, led by GM, and Auburn spectacularly punished the shorts, soaring 25 points. Bonds moderately active; US govts. firm; foreign irregular; corp. highest-grade firm but speculative and convertible highly irregular. Grains very strong; July wheat surged 2 7/8 cents to close at 62 5/8 on higher foreign demand; corn also up very sharply. Week in review: Stocks worked substantially lower; rail shares hit a new 1931 low while utilities were relatively well supported. Business news was mixed, but “although shrouded in the obscurity characteristic of the initial stages of recovery, many indications were in evidence that commercial enterprise generally had already turned its face toward improvement.” Reports on cars, freight loadings, and electric output were positive, though steel production decline inserted a question mark. Bond market more active due to reinvestment of Apr. 1 payments; US govts. reacted slightly after announcement of large new issue, but remained at premium; foreign govts. active and mostly higher; Australian and German issues rallied; domestic corp. mixed; utilities and highest grade rails steady but lower grade, speculative and convertible declined. Month-end influences caused slight firming in call money but money markets otherwise quiet. NY member banks reported continued decline in loans, rise in non-govt. securities. Commodities very weak; grains declined sharply at times, with new season lows hit in corn and wheat, though they rallied sharply Saturday; cotton moved gradually down. Foreign exchange featured drop in silver and associated currencies, and talk of cut in German discount rate due to higher confidence and return of capital. Conservative observers continue to recommend using rallies to reduce long positions, staying on sidelines until market demonstrates ability to hold uptrend. Business news was mixed, with good automotive news and rally in grains but decline in steel production. Due to market's inability to hold rallies in past 2 weeks, a growing number of traders now expect "the market has worked itself into a position where a selling climax is necessary." This normally comes with heavy forced liquidation, while there has only been a small amount of forced selling in the recent decline compared to late 1929 and parts of 1930. However, pattern of persistent, “dragging” decline may be due to the market's already extensively liquidated position after the past 18 months; brokers' loans are actually lower now than at the bottom in mid-Dec. Further declines should bring return of long-pull buying seen at year-end. Dominick & Dominick point out recoveries after previous major depressions in 1873 and 1921 started before wages declined to the same extent as commodity prices; these have now declined 21% since mid-1929 while hourly wages are down only 3% but avg. weekly earnings are down 20% due to shorter hours. Short selling has increased in past week, extending from bear professionals to some of the public switching from the long side; this is seen increasing chance of technical rally. Recent reaction may prove beneficial when first quarter earnings are reported, since it has technically strengthened market to withstand expected poor earnings comparisons and steel production decline. Copper situation considered discouraging; last price hike apparently wasn't justified by conditions. Broad Street Gossip: Fiat Motors gives US shareholders little information about company operations, but must have been fairly prosperous last year judging by the 95 cent dividend just paid - a yield of about 8%. Callaway, Fish & Co. give list of suggested bonds and stocks; 25 suggested rail bonds have mean yield of 4.74%; 9 utility bonds 4.90%; 5 foreign bonds 5.87%; 11 preferred stocks 5.48%; 13 common stocks 4.57%. Managed investment trusts [similar to mutual funds], after brief period of optimism and price appreciation in Feb., will apparently require more patience. Price swings in many trust shares are exaggerated compared to the general market due to leverage in the form of capital senior to the regular shares. Meanwhile, the Investment Trust Journal reports that "putting over a fixed trust [similar to ETF] is no longer as easy as it may appear." Okla. Gov. Murray predicts conference in Washington will result in unified action by 10 oil-producing states, which will restore prices "to normal" within 30 days. NY State bond issue of $34.975M to be sold tomorrow expected to fetch excellent price; Comptroller Tremaine, in a radio address last week, said: "One of the principal reasons why NY State's credit is so good is that it has always followed a very conservative borrowing policy. NY State does not borrow money for projects which do not at least outlive the bonds by which they are financed." State's net debt is about 1% of its taxable worth. Pennsylvania RR VP County says co. will spend well over $100M of its $175M improvements program in 1931. AFL survey of business finds opinion bottom of depression has been reached, and "in the fall we may look forward to the beginning of a more definite climb upward toward prosperity"; says union labor has kept promise to avoid wage agitation; believes wage cuts not called for and would delay recovery. Gen. Hines announces week's veterans' bonus loans $375M, total of $820M "in sight," predicts $1B within 3-4 months, which would increase deficit $66M. April car production schedules are a total of at least 25,000 higher than March, though the industry is being very cautious on forecasts and has tightened control of production to react quickly to changes in sales. March car and truck shipments by Chrysler and subsidiaries (Dodge, De Soto, Plymouth, Fargo) totaled 26,072 units, highest since last June and third straight monthly gain of about 50%; shipments were about 23% below March 1930, a big improvement over previous months. Auburn shipped 5,649 cars in March vs. 2,499 in Mar. 1930 and a record for any month; inventories low, anticipates production over 6,000 in April. Steel seen facing critical period, with first-half production peak possibly already passed. Auto and rail industries have pulled back on ordering; rail pullback was particularly disturbing since they had maintained relatively liberal buying until about a week ago. Influence of lower production on price situation uncertain; some price cutting reportedly persists in spite of efforts of “leading interests.” Scrap market has weakened significantly. Youngstown district steel output will decline 3% to 45% this week; outlook remains confused, buyers cautious. Remaining unsettled details of Eastern rail consolidation plan to be submitted shortly to panel of three arbitrators agreed on by the interested rails. Rail executives are reportedly getting tremendous pressure from their bankers to consummate the plan. US production of steel rails in 1930 was 1.873M tons vs. 2.722M. Fisher's wholesale commodity index continued decline to 75.3, a new low. New state and municipal financing in March was $275.1M vs. $11.7M in Feb. and $127.0M in Mar. 1930. A total of 23.643M cars and buses were registered in the 48 states and DC during 1930, down 78,749 from 1929. Texas Railroad Commission increases allowed oil production 45,700 barrels to 690,000 barrels/day; East Texas to start at 90,000, rising to 130,000. After considerable delay, France enacts major public works program to spend 17B francs over next 5 years. France enacts law to partly compensate holders of rentes [bonds] for drastic decline in franc before 1928 stabilization. New South Wales, Australia govt. defaults on $1.070M payment for soldier settlement advances, bringing total defaults to $5.815M. Callao, Peru City Council says will default on loan made by J. & W. Seligman Co. of NY in 1927 on grounds terms too onerous. Credits to Russia of up to $150M being negotiated from Britain, Austria, Germany, and others, to compensate for fall in commodity prices and make it unnecessary for Moscow to export food. Frederick Morton Construction of London offers $100M in loans to Mexican state govts. for public works. D. Schulte, head of Schulte store chain, says anticipates cigarette price hike to 15 cents/package in about 2 weeks. Douglas Aircraft seen showing record sales for the full year based on strong Q1 and backlog. Goodyear cuts wages of 13,000 workers 5%-20%; largest cuts for unskilled workers. NCR expected to show a first-quarter loss from operations. Montgomery-Ward may show first-quarter loss after lower than expected sales in March. Chesapeake & Ohio RR expects to roughly cover dividends in first-quarter, will likely be one of few rails to do so. Aluminum Co. of America 1930 net $1.92/share vs. $11.18. Companies reporting decent earnings: Illinois Power & Light, Penn. Gas & Elec., General Stockyards, Best & Co. (chain store). Private Lives, with Gertrude Lawrence and Noel Coward, reopens tonight after brief hiatus due to Lawrence's illness. Tony Sarg's Marionettes to present Alice in Wonderland and Rip Van Winkle at the Belmont. Harry Wagstaff Gribble will present series of plays in Montclair, NJ this summer including first US production of Titus Andronicus, and The Miller of New Jersey, farcical drama of the American Revolution. Girl - Mama, if I grow up and get married, will I have a husband like father? Mother - I don't know, dear, very probably you will. Girl - And if I grow up and don't get married, will I be an old maid like Aunt Mary? Mother - Perhaps. Girl - It's a tough world for us women, ain't it? Letter from Mark Twain to subscriber of a newspaper he edited in Missouri who found a spider in his paper and asked if it was good luck: "Old Subscriber: Finding a spider in your paper was neither good luck nor bad luck for you. The spider was merely looking over our paper to see which merchant is not advertising, so that he can go to that store, spin his web across the door, and lead a life of undisturbed peace ever afterward."